Looking for deals in Belgrade? Boasting a rooftop bar and a restaurant with city views, Hilton Belgrade is set within walking distance from Slavija Square and St. Sava Temple. The hotel was perfect , the location is amazing its in the city , the room were clean and comfortable , the staff is fantastic they are so so so helpful they look for your comfortable stay , tina and her college in the executive longe she is amazing she help as a lot and she tell as about places to go in belgrade she is the best , i wish you all the best tina , the best hotel in belgrade . Airport Hotel is located in Belgrade, just a 3-minute ride from the Nikola Tesla Airport. Guests can enjoy the on-site bar and the modern-style rooms and apartments fitted with free WiFi. Very clean, close to the airport, staff very friendly. Hotel City Savoy is located 1640 feet from the central Trg Republike Belgrade and offers an on-site restaurant and spa and wellness center. The staff were exceptional. The reception staff were incredibly helpful with everything and were always extremely friendly and welcoming. This extended to the staff in the café and the breakfast room, both of which also offered fantastic service. They are a credit to the Hotel and nothing was too much trouble. The location is great, we left our car and walked everywhere. Literally hundreds of cafes and restaurants in walking distance - take the staff's advice! Our room was very comfortable and serviced very well each day and the air-conditioning was much appreciated. Located in the center of Belgrade and offering a restaurant serving International cuisine, Courtyard by Marriott Belgrade City Center provides air-conditioned accommodations with free WiFi access in a... It was not my first time in Belgrade, and staying the same hotel. And as always the room clean, spacious and with very comfortable bed. The staff absolutly amazing, friendly, always with a smile, helpful and always fun to chat with. The location in the heart of Belgrade. Located in the very heart of Belgrade, about 656 feet from the Republic Square and a few steps from the bohemian Skadarlija district, Hotel Belgrade Inn was built in 2016 and offers an on-site... The staff were super friendly and kind. They made a lovely surprise shortly after we checked in. Overall the hotel is a nice city hotel the rooms are clean and comfortable. The location is great, it's very close to Skadarlija and Knez Mihailova. We were satisfied with the breakfast too. Highly recommended! We'd be happy to stay there again. Located within an 8-minute walk from Trg Republike Belgrade, Capital Hotel is set in Belgrade, in a pedestrian zone. Guests can enjoy a meal at the on-site restaurant. Free WiFi is available. Everything was perfect. Very clean room and facilities. Offering an indoor swimming pool and sauna, Xenon Hotel is set in Belgrade, 1.8 mi from St. Sava Temple. Guests can enjoy a meal at the on-site restaurant or have a drink at the bar. High speed internet, quiet rooms, comfortable bed, nice and clean spa area. Breakfast was delicious! Featuring free WiFi throughout the property, Garni Hotel Zavicaj offers accommodations in Belgrade, 0.7 mi from St. Sava Temple and 2.5 mi from Republic Square. Guests can enjoy the on-site... Modern, clean, friendly. One of the best hotels I've stayed at ever. Will definitely be back. Set in the Vračar District of Belgrade, about 984 feet from the Temple of St. Great central location but not busy. Located within the pedestrian zone of central Belgrade, Envoy Hotel offers an à la carte restaurant and free use of the spa facilities. Free WiFi access is provided throughout the property. Warm staff. Absolutely perfect location in pedestrian zone, close to park & river. Conveniently located within a 5-minute walk from Tašmajdan Stadium and 0.6 mi from St. Sava Temple, Marquise Hotel features modern rooms and a shared lounge area. It was a very nice boutique hotel that was nicely decorated. Set in Belgrade, Mark Hotel is a 15-minute walk from Trg Republike and St. Sava Temple. Clean rooms, good location, nice personnel! Conveniently located in the Vračar district of Belgrade, 1.1 mi from St. Sava Temple, Prime Hotel offers an on-site restaurant. Trg Republike Belgrade is 1.9 mi away. Free WiFi is available. Friendly staff. Clean and cosy apartments. Nice breakfast. Good location. Set in the center of Belgrade, just 656 feet from the Republic Square, Hotel Opera features a terrace and views of the city. Guests can enjoy the on-site bar. The hotel is located right in the center of the city. You can go and see all the sights on foot. The luxurious Square Nine Hotel is located in the center of Belgrade, 164 feet from the Kneza Mihailova pedestrian and shopping district and 328 feet from the Kalemegdan Fortress. The staff are very professional and hospitable. The rooms are comfortable. Located in the very center of Belgrade, Hotel Argo was fully renovated in 2013 and overlooks the Beograđanka Palace. It offers modernly furnished rooms with a free Wi-Fi access. Great and comfortabls rooms, very nice breakfast and coffee. Really great! Located in Belgrade, a 7-minute walk from Trg Republike Belgrade, Garni Hotel Passpartù Home has a garden, a terrace and a bar. Clean and spacious rooms. Excellent service. Staff was extremely pleasant and welcoming. Located in the Savamala neighborhood in central Belgrade, the stylish Jump INN Hotel offers elegant rooms and suites with free WiFi. Junior suit was very big and comfortable. They’ve thought every detail in the hotel room. How much is a hotel in Belgrade for tonight? On average, it costs $46 per night to book a 3-star hotel in Belgrade for tonight. You'll pay around $74 if you choose to stay in a 4-star hotel tonight, while a 5-star hotel in Belgrade will cost around $175, on average (based on Booking.com prices). What are the best hotels in Belgrade near Nikola Tesla Airport? Travelers who stayed in Belgrade near Nikola Tesla Airport (BEG) have said good things about Airport Hotel Garni, China Town Hotel, and Garni Hotel Hollywoodland Wellness & Aquapark. Which neighborhood is the best one to stay at in Belgrade? Stari Grad, Vračar, and Savski Venac are popular with other travelers visiting Belgrade. What are the best hotels in Belgrade near Skadarlija? Some of the best hotels in Belgrade near Skadarlija include Aria Apartment, 3 Rooms Apartment and Bukoleon Apartment. 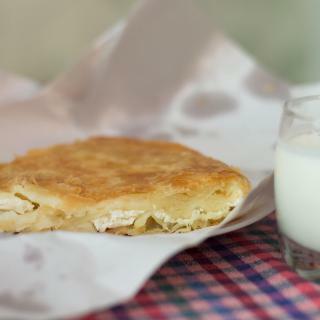 Which hotels in Belgrade offer an especially good breakfast? For hotels in Belgrade that serve highly-rated breakfasts, try Garni Hotel D10, Falkensteiner Hotel Belgrade, and Garni Hotel Mint. How much does it cost to stay in a hotel in Belgrade? On average, 3-star hotels in Belgrade cost $63 per night, and 4-star hotels in Belgrade are $87 per night. If you're looking for something really special, a 5-star hotel in Belgrade can be found for $186 per night, on average (based on Booking.com prices). How much is a hotel in Belgrade for this weekend? The average price per night for a 3-star hotel in Belgrade this weekend is $94 or, for a 4-star hotel, $132. Looking for something even fancier? 5-star hotels in Belgrade for this weekend cost around $355 per night, on average (based on Booking.com prices). Which hotels in Belgrade are good for couples? These hotels in Belgrade are highly rated by couples: Garni Hotel D10, Public House Hotel, and Boutique Garni Hotel Townhouse 27. Which hotels in Belgrade have nice views? Xenon Hotel, Garni Hotel Argo, and Hilton Belgrade got great room view-related reviews from travelers in Belgrade. Which hotels in Belgrade are good for families? Many families visiting Belgrade loved staying at Boutique Hotel Museum, Maison Royale, and Best Western Premier Natalija Residence. Which hotels are the best ones to stay at in Belgrade? Garni Hotel Mint, Hotel City Savoy, and Radisson Collection Hotel, Old Mill Belgrade are some of the popular hotels in Belgrade. Belgrade is a fantastic city. Belgrade is a fantastic city. It may be a tad dirty and congested in places, the transport system may veer a little too much towards the eccentric and the pavements probably have the cleanest holes in Europe, but it oozes vitality, culture and style, and has more than a smattering of places of interest. 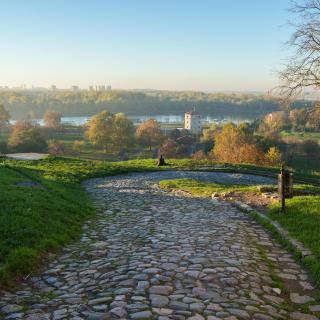 Kalemegdan is a very special place - an oasis of green, calm and history overlooking the confluence of the Sava and the Danube. Ada Ciganlija island has everything from deckchairs by the lake to abseiling in the woods. And the City waterfront provides party time for almost every musical and stylistic taste. Culture, entertainment, bars and restaurants are generally of a high standard and comparatively cheap. It's safe to walk around, even at night, there are quirky little surprises to find around almost every corner and the locals would be in the running for first prize if there were a competition for the most helpful, hospitable and friendliest people in Europe. Overall the city is safe and USA friendly. Overall the city is safe and USA friendly. Everyone speaks English. At the time of my travel local currency which is Serbian Dinars are 117 to 1 US Dollar. For $25 you can have a nice meal course for 2 people. ATM are charging approximately $30 for each withdraw and conversion (Will give money out in local currency only). Food is cheap, and cigarettes are cheaper. If you are a non smoker be ready to be shocked, smoking is rarely prohibited in places. From taxi to restaurants you will have people smoking like chimneys. No Uber, No Lyft at the time of stay. To order local taxi you need a Serbian phone number. Taxi is cheap as well. Be aware of your surroundings at all time and have fun. For sure visit Nikola Tesla museum, it was an experience of its own. It could be my taste but i though their meat is little bit over salted no matter where i went, so when you order i would recommend to request not to salt your meat :) Definitely visit US Embassy facility, after the incident back in the days it has been relocated and standing taller and more beautiful than any other embassy in Serbia for sure :) NO PICTURES OF THE EMBASSY, i almost got in trouble for it :) If you end up there, make sure you give restaurant called: JERRY a try, very delicious food and great service. Good Luck Guys! Great people, amazing restaurants, great sites seeing. Great people, amazing restaurants, great sites seeing. Awesome vibe overall and you are in perfect place if you are looking to enjoy culture, art, fine dining and nightlife. And def more affordable prices comparing to other Europe capitals. Cudos to belgrade! Belgrade is sweet and lively city on two rivers. Belgrade is sweet and lively city on two rivers. It is recognizable by a lot of coffee shops and bars all around. People are friendly and warm. Clubs on the rivers is totally unique here. I forgot, it is very cheap country. It was a capital of the former Yugoslavia and it's worth to visit! Take Free walking tours to visit the tourist points. Check the fortress, the main street, a centre with all the tourist attractions, the Hause of Flowers, Nikola Tesla museum and Avala. Zemun is nothing special. Belgrade lives during the day and during the night. Rakija and bermet vine are something to try. The apartment is so nice and Milos was so friendly! I use to travel to Belgrade and I must say that it is the best place to stay. You can get everything you need next to the place: food, restaurants, taxi. A store 50 meters from the apartment is openned 24/24. You can also park your car for free in the area! The apartment is fully renovated. Very quiet place and cosy. Milos is definitely the best host I met in Belgrade. So kind and committed. He will definitely show you what Serbian hospitality is. This was by far one of the best hotel experiences that I've had. Great, modern hotel, with clean and extremely comfortable rooms, pleasant and helpful stuff and all that combined with the best location possible. As addition, breakfast was fantastic, with variety from fresh and warm pastries, the usual eggs and vegetables, to extremely tasteful tortillas and sandwiches. Even though it might not be the cheapest option for stay in Belgrade, I would highly recommend it to everyone. Perfect location to discover Belgrade. Host were very kind and gave us some recommentations what we should visit and where to eat. All of these places were walkable so we did not use any transportation. Apartment is big and super clean. Also bed was very comfortable. Even this is central part of Belgrade it was perfectly quiet over the night. If i choose to stay in Belgrade some other time i would definitely choose Secret City Center Rooftop again since it feels like home. Wonderful place to stay in the capital of Serbia. The apartment is located on the top floor of a residential building on the busiest street Skadarlija, where there are many cafes and bars. The room has everything for a comfortable life for a week and a month. The owner of apartments Nemaja is the best - he will always help (he lives nearby and at the slightest difficulty will come) and will advice where to go and what to visit. Worth staying! Amazing friendly and helpful staff. Serbian people are amazing but the staff at this hotel top the lot. I was traveling with my wife and baby and found everyone Polite, friendly and extremely helpful . Hotel was clean and the rooms modern and we'll fitted out. Superb location. I normally stay at the Hyatt Regency and will try to book here in future. The staff were so pleasant from check-in until check-out. The place exceeded our expectations. The apartment we got was huge, classy and comfortable. It was also nicely located being in the old city of Belgrade. This apartment hotel is one of the reasons we fell in love with Serbia. 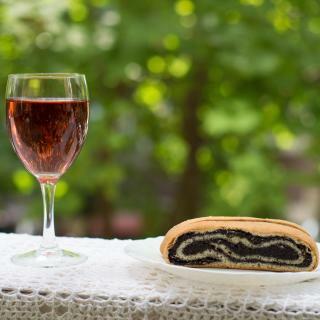 The others would be the food and the Serbian people's hospitality. We were allowed to check in earlier and the host welcome us in front of the apartment. The location is good, 20 minutes walk from to the city center. There are some brochures and map in the hotel and it really helped us. Facilities are great for such a cheap price. It’s a bit old and dusty but at least the bed room is clean enough and comfortable. Small hotel but very cosy, excellent location, very easy access to E75 but also to city center, very nice and respectful personnel, reach buffet breakfest, all was very tasty. Room and bathroom is very well equipped, very clean and modern. we stayed only for one night but for sure i will choose this hotel for our next stay in belgrade. Very friendly and helpful employees. Located perfectly in the city center. Design hip and young. Outstanding rooftop bar. The hotel surprises with lots of little details that round off a perfect stay in Belgrade. There is literally not a single negative word I could say about Mama! Best hotel I‘ve been to in a long time! The host was very nice with us, gave us some tips on what to visit in Belgrade and also left us tea, coffee and some Easter eggs (we came during the holiday). The room was clean and cosy, really close to city center but still really quiet. It's great for a short visit and for couples. It's a Serbian institution that the owners are trying to run in the ground so they can sell/knock down the thing. Luckily there's plenty of staff that cling to the importance of the hotel's iconic status in Belgrade. Good breakfast. Excellent if on a budget. We went there earlier and they gave us room before check in time. Location is wonderful. Hotel is on the Bohemian quarter and 10 minutes walking distance from city center (Kneza Mihaila). Staff are friendly. - we didn’t know about breakfast because we didn’t eat there. We stayed here for a football game, so the hotel is one of the best places near both stadiums. They greet us with a typical Serbian hospitality. It’s not a new hotel but it’s clean and rooms are big and tidy. Breakfast was great! They speak english at basic level. I had long time transfer in Belgrade and had to stay somewhere for 1 night. So it was a perfect place for having a rest after the flight. This hotel is perfectly located in the city center. You can reach A1 bus stop on foot. Wonderful apartment in the center of Belgrade. So spacious, clean, comfortable. The host is so polite and helping. I have stayed in other 4 star hotels in Belgrade, this is far the best. I will be staying here again. Near city center, but still in peaceful quarter. Has its own parking space, free off charge. Good service. Very clean. Good wi-fi. Overall, one of the best hotels in Belgrade, where you get great value for money! The hotel is really good, close to the city center and the Tesla Musem. The staff is very good, the rooms are big and the bed is very comfortable. I would definitely stay there again! The hotel is really at the city center. You can easily reach everywhere.